Okay, Chickens, here is the thing about hummus. It's become ubiquitous, and as a result, sort of uninteresting. I mean, somewhere between "What the heck is this, wallpaper paste?" and "There are forty-seven flavors of hummus at my local grocery store" hummus lost it's appeal for me. I first was introduced to hummus in college at Brandeis, where, in the main dining hall, there was a section called (horrifically) Nature's Way. Which I thought sounded like a laxative. And looking at the offerings, probably sort of was. If you chose this for your lunch or dinner option, the bored looking ladies in the hairnets would take a paper plate, cover it with shredded lettuce, a scoop of chopped cucumbers, a scoop of chopped tomatoes and then ask for your options. You got three. Among your choices were tabouleh salad, falafel, sprouts, some sort of cous cous, babaganoush, and of course, hummus. You would pick your items, they would get deposited on top of your salad, topped with a truly spectacular large pita bread, and off you would go feeling very virtuous. Which was useful when at midnight the Chinese Food guy would come down the dorm hallway and you would eat your weight in dumplings and pork lo mein. 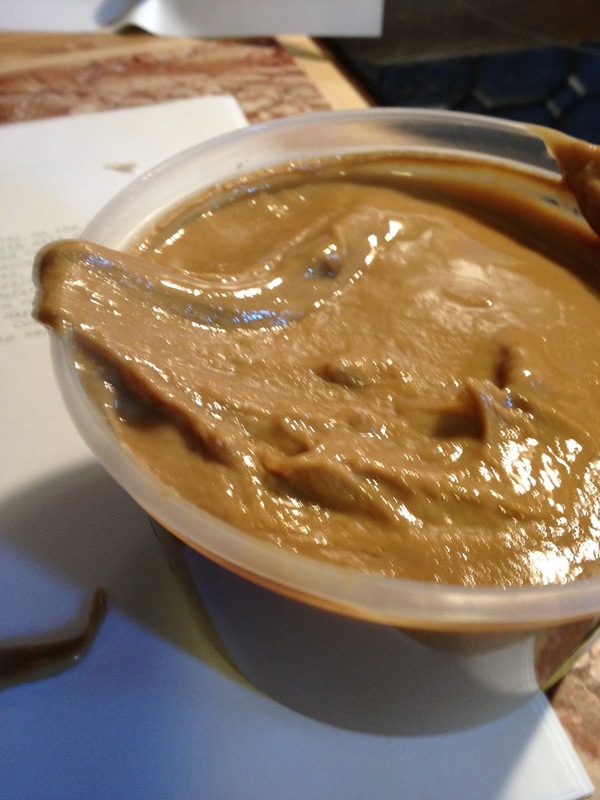 The hummus at school was the texture of natural peanut butter from the 1970s. Gritty and pasty, stick to the roof of your mouth thick, and kind of unpleasant. Their version was lacking in lemon and salt and heavy on the garlic. I often ordered it, and never finished it. I thought I didn't like hummus. I was wrong. After college, hummus suddenly started showing up at every party. The beige tub, usually accompanied by a bag of baby carrots and maybe a wan celery stick or pita chip, was at every event large or small. I would taste it here and there, mostly out of boredom. Some were bad, some were okay, a few were good, none were amazing. Then one night, somewhere around 1998, sitting on the porch of some pals with a bunch of fabulous people, I reflexively reached for a carrot and dunked it in the hummus. Delicious! Who knew? Velvety smooth, not heavy or pasty at all, and full of fresh chickpea flavor brightened with lemon and the umami undertone of tahini. And I asked for the recipe. And then never made it. 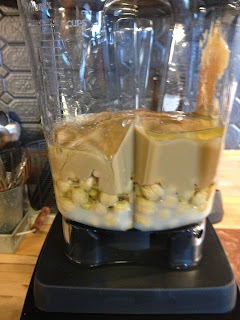 Because if I need hummus, I am not going to remember to go buy the dried chickpeas, soak them overnight, cook them, let them sit till they cool, REMOVE THE SKINS...I get tired just thinking about it. I didn't need magic hummus that badly. I found a store brand that was as close as I could find to the texture I like, Basha, which they carry at my Costco, and let that be my go-to hummus, doctoring it up with a spritz of lemon, and a drizzle of olive oil and toasted pine nuts. Peeling chickpeas just wasn't going to be in my future. It's why I don't make fava beans, thank you very much. 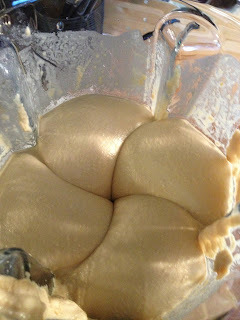 Over the years, I have developed a recipe for a hummus substitute that uses canned white beans, which are softer and creamier than chickpeas, so if I feel compelled to make something from scratch, I go with that. And when I am in New York staying with my amazing friend Liz, we pick up some of the good stuff at The Hummus Place on Amsterdam, and go to town. I am sad we don't have one in Chicago, because their hummus is transcendant. But sometimes you are just waiting for the right equipment. You know that I do not, as a rule, advocate for the most expensive of anything, unless I really think of it as a long term investment. I think there are excellent kitchen products that are very reasonably priced and have terrific value. My most recommended kitchen tool is the $30 Kuhn Rikon Swiss Chop Chop, I give them to everyone, and use mine at least three or four times a week. Love it. When it comes to small appliances, my usual rule is to look at how often I am likely to use something, and whether the difference between the options is truly function or just bells, whistles, and packaging. With the current juicing and smoothie craze, blenders are getting better and better. There are a lot on the market, and most of them will work well for general use. Which didn't stop me and Charming Suitor from coveting the Vitamix. Those are the professional blenders you see on all the cooking shows, with the super cool black plastic plungers that the chefs can use to move stuff around in the container while the blades are still going. I don't think Bobby Flay could make a chili oil without them. Charming Suitor has been making noises about them for a year or so, and we know how I feel about shiny kitchen appliances. Our hesitation has always been the price. It is, without a doubt, an serious investment blender. But after two recent less-than-successful experiences with our standby Warings, one a chilled soup that never got smooth, and a set of sad milkshakes, not to mention that they are now sometimes available at Costco at reduced prices, we agreed that it was an investment worth making. We decided it is like a KitchenAid stand mixer. You can play with others, but at the end of they day, they are worth it, because they do everything they are supposed to do, and they do it FOREVER. Vitamix is the Michael Jordan of blenders. It is just so head and shoulders above everything else, not to mention practically indestructible, that you realize it is a superior quality you are paying for. And don't get me wrong. If you make two batches of margaritas a year, and gravy for Thanksgiving and let your blender gather dust the other 362, do not make this investment. But if you use a blender more than once a month? You should strongly consider it. And if you use it more than once a week? You should just stop reading and go buy one RIGHT NOW. With Passover this week, I knew I was probably going to serve hummus as an appetizer. And I thought, what better maiden voyage for the new machine than my nemesis. I was going to see if canned chickpeas with their skins on could substitute for the tedious prepared beans that my recipe calls for, and find out if I could flip the script on hummus. To say that the hummus was successful would be to downplay the ridiculous ethereal cloud of delicious that erupted out of this machine. Two cans of drained chickpeas. 3 oz of lemon juice, 4 oz of grapeseed oil, some salt. 6 oz of water. Can you see the smoothness of this, despite my continuing to be a crappy photographer? Not heavy, not gritty, insanely smooth and supple and light. It literally melts on the tongue. Charming Suitor took one bite and nearly passed out, since he likes most hummi, including the kind of crappy ones. Yep. 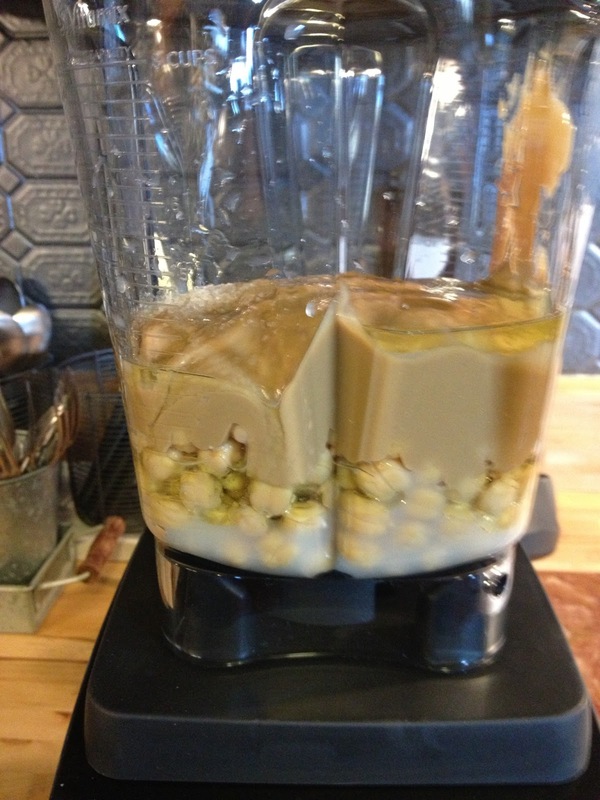 Vitamix fixed the hummus problem. I was a little annoyed at the "don't put it in the dishwasher" part, since I HATE to wash dishes, but a half a container of water and a drop of dishsoap, a quick whiz, and the bowl was clean and just needed rinsing, so not nearly as onerous as it could be. Stay tuned as Spring continues, because we are going to be testing some soups and other yummies, and will be passing on the recipes as we go. 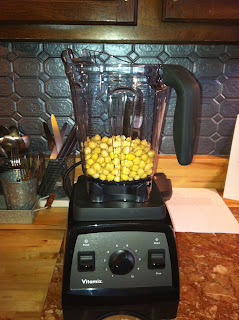 In the meantime, I can say that if you are ready to make a blender investment, or have been wavering on the Vitamix and wondering if it is worth it, wonder no more. If it could fix my hummus problem, it can do anything.